We are counted among the prominent organizations engaged in offering Acrylic Jewellery Display Stand. These all acrylic jewellery display stands are broadly admired for their quality, imparted with smooth edges and hassle free performance. Our quality driven approach allows us to manufacture and supply a wide range of Jewellery Display Stand. 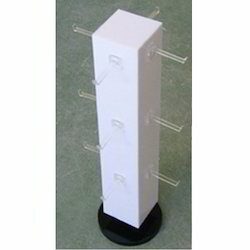 These display stands are available in different sizes and lengths according need of our clients. We can delivery the customized range of these display stands which are aesthetically appealing. We offer Acrylic Jewellery Prop. Acrylic is being increasingly used for body jewellery and is widely acknowledged. Fluoro jewellery is manufactured from Acrylics and acrylic resins are common names for polymers or derivatives of acrylic acid and methacrylic acid. No Wildcat Fluoro reactive pieces will strip away from threaded metal posts like many products of similar lines. We offer a wide range of Acrylic Jewellery Display Stand to our valuable clients that are used by our large number of clients extensively. These products are strong built, smooth finish and light-weight. 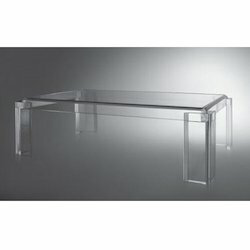 These product are durable and to fully satisfy their needs. 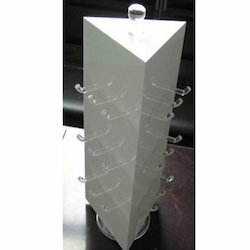 Looking for Acrylic Jewellery Display Stand ?